Another year, another E3, and this year is once again filled with announcements with a strong esports scent, and a few events worth a look! Electronic Arts brought back their big names of the competitive scene for this E3, with sports IP coming back for a new season: Madden 19, NBA Live 19 and of course FIFA 19. We also learned more about the upcoming Battlefield V, which will boast a Battle Royale mode in addition to the classic multiplayer modes. Finally, a surprise happened with Command & Conquer Rivals, a new opus to the famous RTS series, designed for mobile devices, with a RTS gameplay leaning towards Clash Royale and the likes. The Microsoft conference was filled to the brim with announcements and news for around 50 different games. Three Microsoft titles caught our attention for their competitive aspect, even if the release date of two of them is yet to be revealed. These games are Forza Horizon 4, and two games which current opuses already have million-dollars circuits: Halo Infinite and Gears of War 5! Ubisoft is known for taking care of its games and communities, and they delivered with the announcement for the new Just Dance 19, a long-time players favorite, but also huge updates to come for their competitive titles R6S and For Honor! Last but not least, Nintendo was the closing player this year, but they delivered big time! Long-awaited Super Smash Bros Ultimate got a full character reveal, and the competitive scene has clearly been a focus with balance changes and maps, plus the invitational tournament held during the E3 (with results at the bottom of the article). Splatoon 2 has also received his Octo Expansion, and Mario Tennis Ace is getting close to release! The surprise of the conference was the announcement for the next Super Mario Party game, not exactly a contender for the next esports phenomenon, but you have to admit a Mario Party tournament would be a blast! Finally, Fortnite has been announced on Switch, so you can really play anywhere! Other titles that caught our eye during this week were obviously the next Call of Duty, Black Ops IIII, and Jump Force, a versus fighting game with all of your favorite manga characters. 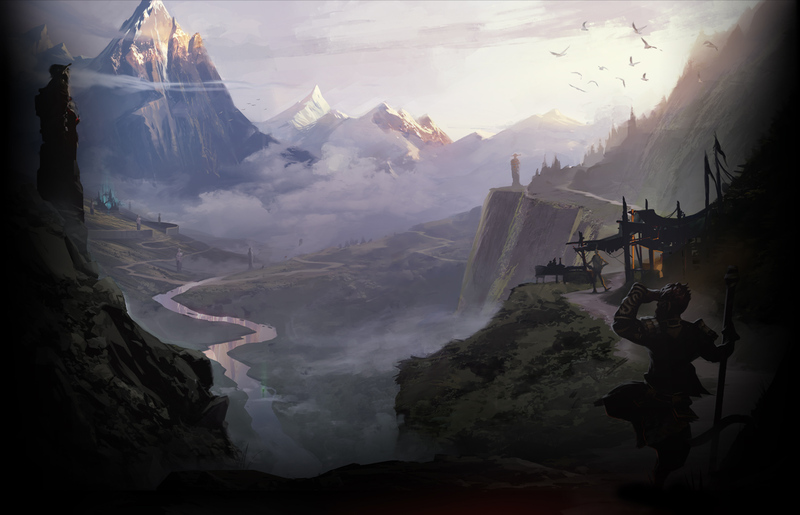 Mavericks Proving Grounds which plans on bringing 1,000 players in a single Battle Royale match! Nintendo brought the World Finals of its Splatoon 2 World Championship at the E3 for everyone to see, and it was a blast! Will Battle Royale generalize competitive gaming? Let’s start by stating the obvious, the Battle Royale genre is, and has been for a year or so, the go-to trend everyone wants a piece of. Successful titles (do Fortnite and PUBG ring any bell? ), viewership records, there is no shortage of superlatives or in-depth analyses to make sure you talk about the (current) golden boy of video games. But let’s take a different approach, and see what can the Battle Royales really bring to the table, apart from entertainment and numbers in the millions, not that it would not be enough, but we are sure there is more to it! Indeed, those games came with their own revolution for competitive gaming and esports, especially with the new formats they brought along. Grand scale battles were previously a prerogative of large-scale shooters such as Battlefield or Planetside, with large groups of players fighting in battles ranging from sixty-four to several hundred players at a time. If competitiveness was without a doubt present, there was not much room for structured competition. That changed when the Battle Royales started pitting a hundred players against one another, with all but a single goal to reach, be the last man standing (or prone, we are not judging!). 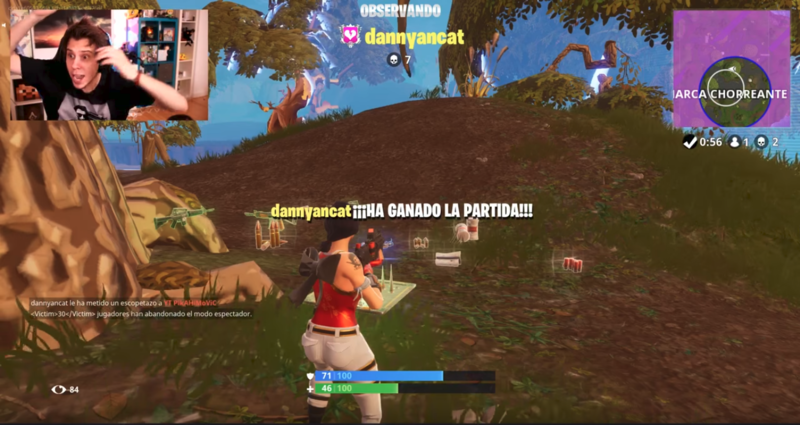 In a Battle Royale, if you want to organize a 64-players tournament, well, it’s easy enough, you just play N matches, cumulate points from those matches, and just like that, you have your tournament, ranking and winner! It’s easy for players, it’s perfect for viewers, as it’s almost 100% gameplay, with a few minutes needed between each match to start the next one. Add the fact that at the community level, they will usually be solo tournaments, and you have a great recipe for success, as it’s easy to register, fast to set up and players remain involved. For all of these reasons, it was important for us to provide our community with the right tools to organize such competitions in even better conditions, hence why we have been working hard to make sure the platform would be ready by the time the games allow everyone to organize their own tournament, and it’s close… real close! Smash Bros, Black Ops IIII and other announcements! This week has been rich in long-awaited announcements, and several of them have a very interesting competitive side to them. Let us take a look at what 2018 (and beyond) has in store for us based on those latest news! The Nintendo Direct from the 8th of March was stacked with announcements for the 3DS and Switch consoles, including many games ported from other platforms. But three titles have retained our attention because of their competitiveness. First off, Splatoon 2, the original shooter IP from Nintendo will soon move to its 3.0 version, with a whole solo extension called “Octo Expansion” and a whole lot of content, from stages to clothing and weapons. Release date is set to some time this summer. Then, it’s time for a N64/GBC game to get a sequel on the latest consoles, with Mario Tennis Aces. 3DS and Wii U versions of the original games exist since 2013, but it’s a brand new game that has been announced, full with competitive features! Release date is on the 22nd of June, with a pre-launch free tournament already planned. Last, but not least, rumors had it in past weeks that a new Smash Bros game was in the pipes, but that went from rumor to official announcement with the conference. All we know is that the game should feature Link from Breath of the Wild and Splatoon character, and that the game is set to be released in 2018. After weeks of rumor, Activision finally announced the next Call of Duty title, which will be a sequel to the Black Ops franchise by Treyarch, soberly titled “IIII”. More information are bound to be shared this spring, and the release date is set on the 12th of October. Another great name to have gotten its sequel announced this week was Ubisoft’s The Division. No real insight on what the game will offer for competitive players, but the devs say they have learned from past experience, and the great idea that was the Dark Zone might come back in a more polished form! 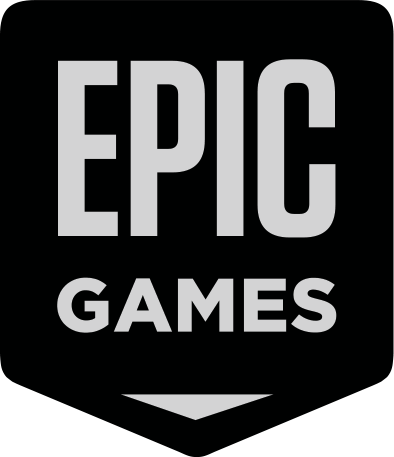 And the final big announcement from past week is the Mobile version for Fortnite that has been teased by Epic Games. The mobile version will support full cross-play and cross-progression with existing platforms (except with XBox One apparently), and a first iOS beta will open on the 12th of March, followed by invites, and an Android version in the coming months. All those new games have their seat ready on Toornament already, and we can’t wait to see which ones will pack a punch and become great competitive titles! 2017 has been a huge year for Toornament, which underwent its biggest transformation ever with the release of the V.2. The first half of the year was entirely dedicated to bringing those sweet new features to you, while the rest was about keeping the flow of novelties and improvements coming your way. And now is the time to stop for a minute, and gaze upon what 2017 brought along! Participants like to talk, would it be to exchange information about an upcoming match, or to gloat after a win. Whatever the reason, we released one of the features our users most requested: the Match Lobby. Because having a great platform comes with providing great support, we created a true Knowledge Base and opened up new support channels to make sure everyone could get the answers they were looking for. To further improve the quality of life of our users, we merged the public tournament pages with the Participant Dashboard in a new Participant Interface. This was only possible thanks to the changes initiated with the V.2 release, that has proven being an invaluable improvement (because it opens up so many other possibilities you’ve only seen a glimpse of!). It is easier than ever to handle and manage your registrations, thanks to the Registration Multi-Selection, which allows you to select any number of registrations to act on them all at once! Adding to these major changes, the year was full of lesser updates, full of optimizations and bug smashing, all aimed at making Toornament the best esports platform there is. For those of you who are not familiar with our Public Development Roadmap, let me tell you we plan on making 2018 even more incredible than 2017 was! 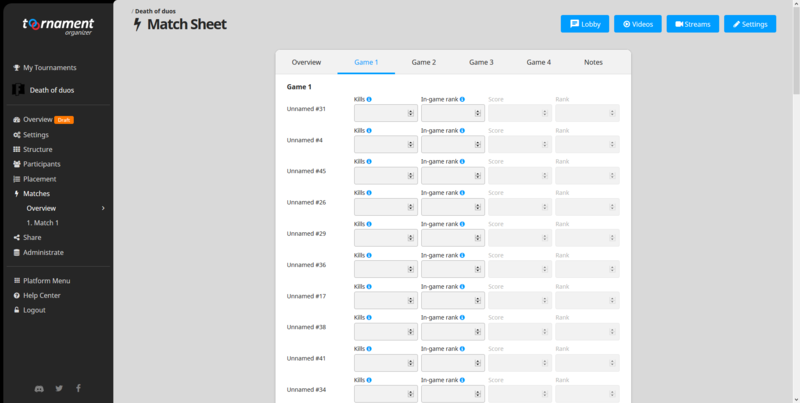 Next feature in line will be the Tournament Check-in, rolling out first thing next year! 2018 will also be the launch year for our Partner Program, aimed at rewarding our best organizers with business opportunities and premium stuff. As esports keep growing and attracting new actors and public, a foreseeable tendency emerges: diversification of tournament formats and structures. With countless new games and loads of organizers entering the fray, it was to be expected that standard sport formats would not be sufficient to cover every single case. Anyway, some organizers are going to great lengths to ensure the competitive integrity of their competition, even if it means going through major hassle with the structure itself, or its features. By covering all the major competitions, we have come across a wide array of structures and formats, and some of them were… puzzling, to say the least. Oh, but we know you, words are good, but you want facts! 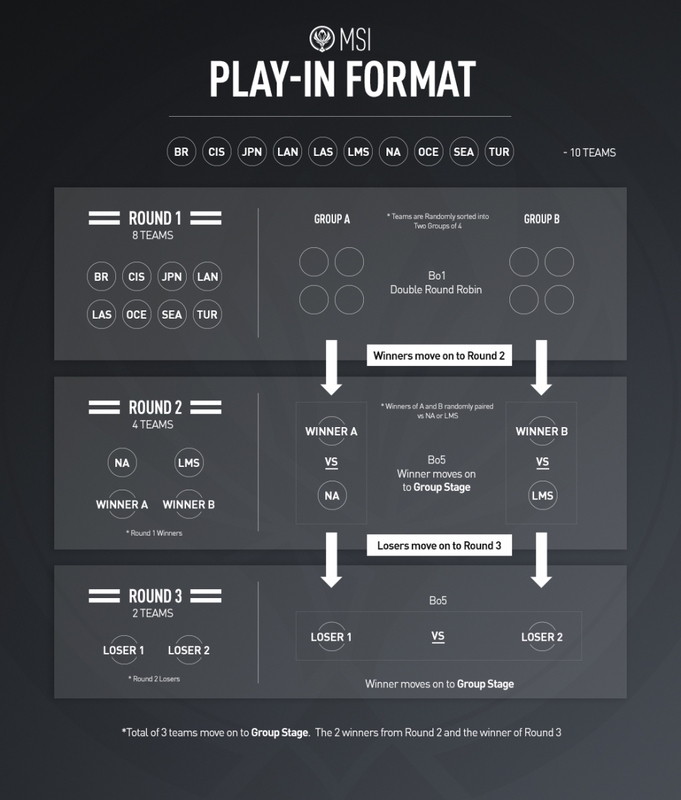 How about the now-standard Activision-MLG structure used for Pro Call of Duty events? It’s quite simple on paper, an Open Bracket where teams can freely apply, then try to qualify through a 4-groups Double-Elimination format. The four teams winning each group will qualify and join the 12 invited teams in the Open Pool, which only purpose is to seed them. Indeed, best 2 teams from each of the 4 Pools will enter the final Championship Bracket in the Winners Bracket, while 4th team from each group starts the competition in the Round 1 of the Losers Bracket, where they’ll fight teams having finished 2nd from the Open Bracket groups. Winners of Round 1 advance to Round 2 where they’re to face 3rd ranks from the Pool Play, and from here on, it becomes a standard Double-Elimination bracket. There is no questioning the competitive integrity or logic of such a structure… But what a headache for a new viewer who would like to spend some quality CoD time watching it live! It’s basically about teams entering the tournament at different moments, with different structures, to reflect on their region’s past results in international events. It does make sense, but once again, the complexity of the format and its implications are deeply intertwined in the whole year’s competition, and one-time viewers probably won’t have the knowledge needed to understand the whole thing. Which leads us to the Seasons, with their Leagues, Regional Splits, Mid-Season Brawls and other Major Events, Pro Circuits, Clashes, Promotion Matches and the likes of them… Easy to get lost in so many different competitions going at once, even if you’re only following a single game. Take League of Legends for example again, a standard year is composed of 2 Seasonal Splits & Playoffs, Promotion tournaments to promote/demote teams from the Professional League, a Mid-Season international event and the World Championship. Simple enough? Sure, but there are 13 different regions, each with its own ruleset and variations on this global format. And then, some teams qualify and they all mingle in the international events. Now, the vast majority of unique tournaments run with a well-known format, or a slight variation of it, with the Double-Elimination Bracket being more and more preeminent. But the increasing number of new and complex formats brings the question of whether esports will go large, or stay a niche hobby for people really into it. Sure, nothing prevents a casual viewer from enjoying a single match, or even a whole tournament, without understanding everything about it or its implications, but implication is precisely what drives (e)sports, when a connection appears and exists between fans and players/teams. And with this, we have the 4 groups that need to be contended when organizing an esports event: organizer, teams, players, viewers. They all want a great tournament, but are not always looking for the same thing from it. Organizer wants a format that runs smoothly and ensures competitive integrity. Teams want their players to be able to perform at their best, but also a format that allow for their team to get ranked where they deserve. Players want of course what their teams want, but also to have fun and have a shot at winning. Viewers want the best viewing experience possible, and being able to cheer for their favorite team. It’s all a complex balance, and to attain it, one must do sacrifices along the way, as no format will content everyone involved. 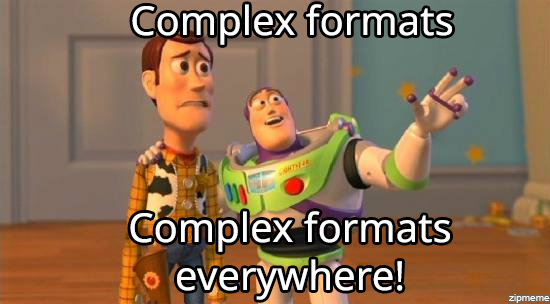 Hence, complex structures are becoming more and more common, and it might scare away newcomers. This was one of our driving factors when developing the upcoming Toornament new structure feature: allow for a complete freedom on the organizer’s side when it came to structures. This way, nothing would hinder an organizer from creating the competition he wants, to try and achieve that tough balance. There is no denying, nor condoning or denouncing the fact that structures are becoming more complex, it is happening and we have to adapt. It may be prejudicial to some, but is a blessing to others, and while it requires more engagement to get into, it also shows how serious esports is becoming, with this constant search for the best, in all aspects. Now, we don’t usually publish opinion piece on our blog but this it’s hard to pass on this one. You should read it. tl;dr Esports belong to publishers and this can be a hurdle for third-party start-ups and platforms. 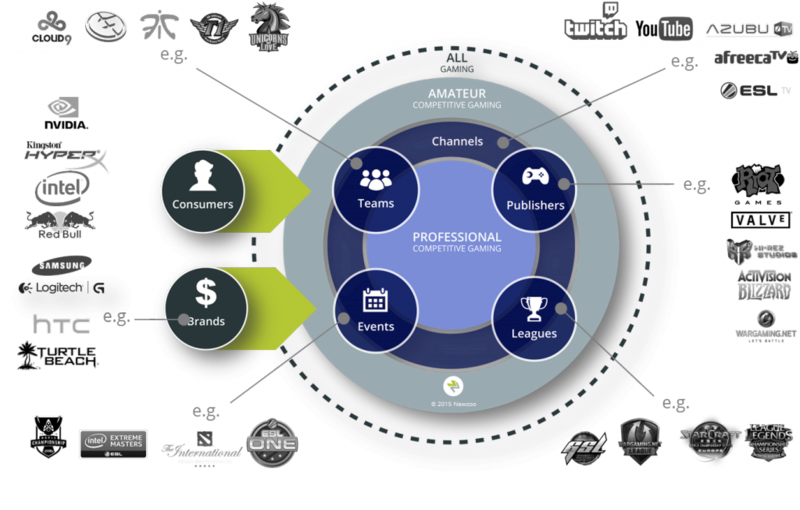 If publishers want to thrive in Esports, they have to nurture a dedicated ecosystem. The post goes through the relationship between the top Esports publishers and the Esports platforms. With a defensive / conservative approach to their game, publishers seem to slow things down and only think short term. Esports are about long term vision. Advanced statistics, tournament organization, bets, in-game items, replays, spectating experience and custom services are some of the many opportunities which could amplify the Esports reach and economy. At Toornament, we’re blessed to be integrated with some of the major games and work hard to integrate with more, at a deeper level. We’re an Esports platform but we believe that the real platforms are the games themselves. They must be the source and epicenter of a rich ecosystem of integrated services and businesses, in which all parties will benefit from each other. Video games are closed products, but Esports must be an open platform. If we keep this in mind, the industry will really thrive. 2016 has been an incredible year for Esports, with wider recognition from governments, stronger commitment from video game publishers, stability improvement for teams and players and overall, more money. Overwatch is highly popular, but its fast-paced nature makes it a pain to spectate. How do you make a 12 people fast-FPS with MOBA elements easy to watch? 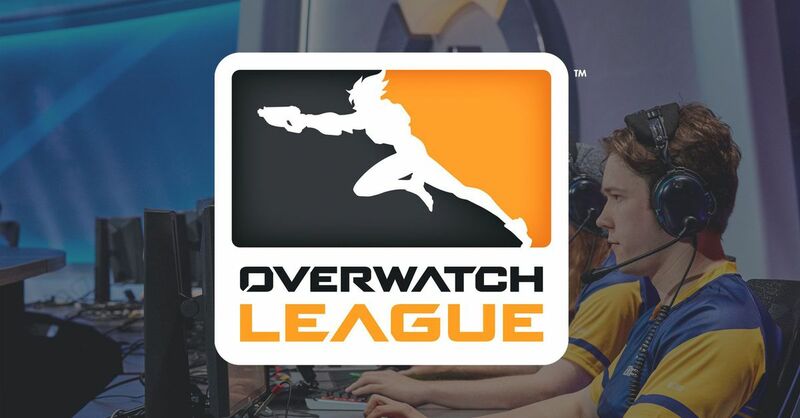 We hope they have the answers over at Blizzard, as the Overwatch League will start this year. Starcraft II is still the undisputed king of RTS, but the genre is waning as MOBAs took over in the last few years. Blizzard has a great game, but need to offer something different to reinvigorate its scene. Hearthstone is another huge hit in the Blizzard roster. The TCG is followed by hordes of devoted fans. But on the Esports’ side, many question the weight of Random Factors, creating insanely entertaining moments, while penalizing the best players. We’ll closely follow if the next expansion help tackle this hotly discussed topic. Heroes of the Storm is struggling, simple as that. Despite its different approach of the MOBA genre, the Blizzard all-stars brawler never got the required traction to spawn a healthy scene. Let’s see if the new modes will kickstart the game for good. Heavily relying on its star IP Call of Duty, Activision arrived late on the Esports scene but finally did so all guns blazing (no pun intended). Throwing heavy Esports effort with a rich league, Activision still has to cope with the lower sales CoD has been experiencing for years now. 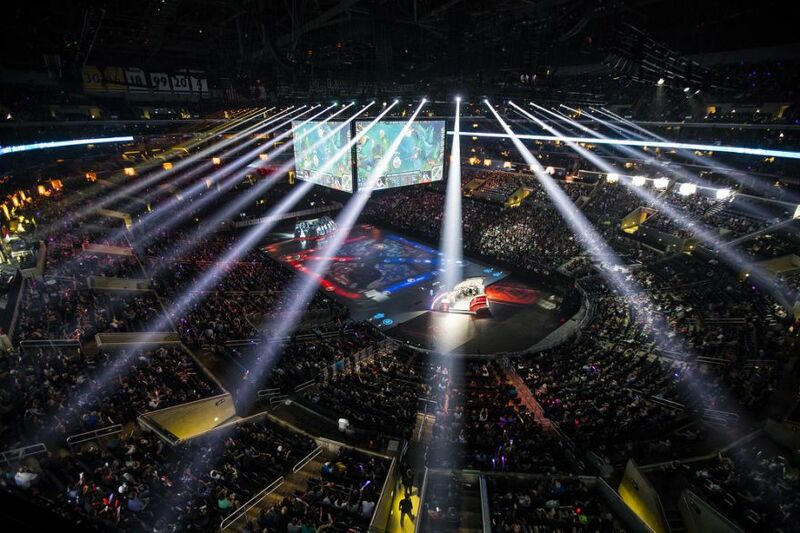 Can Esports save the largest video game saga in the world? The avalanche of huge tournaments around the worlds like the 100K Paris Open @ ESWC Winter seems to think so. 2016 was an interesting year for Riot. League Of Legends stays on the Esports throne by a long margin, but faces unprecedented critics from team owners and fans alike. From the LCS format to the shared revenue, Riot will have to address many complaints if they want to keep their game relevant, as it enters a maturity phase after years of mad growth. Riot announced many changes for 2017, from the crowdfunded money prize, to broadcasting rights and shared revenues with the LCS teams. It will be interesting to see how these changes work out. One of the best upsets in Esports has been FIFA 17. 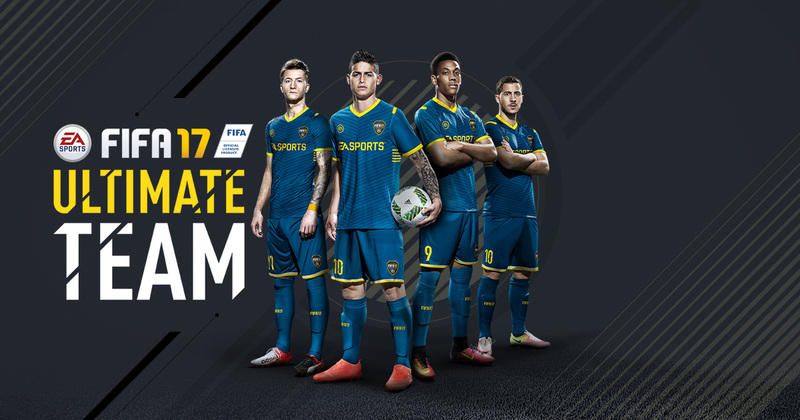 While football games have always been heavy on sales while light on Esports, the FUT mode changed the deal. Allowing players to build a fantasy team from scratch, FUT brought the virtual side that makes Esports so attractive to a sport simulation, while empowering players with real coaching skills. We can’t wait to see if FIFA will really grow from there and reach the top tier Esports club. 2016 showed that it’s really hard to break into the Esports club. Few games have lively community and pro scene. Fans and pro-gamers alike can’t follow too many games. But Esports are damn too exciting to pass on and 2017 will welcome rookies trying to grind their way to the top. Ubisoft’s “For Honor” is clearly labelled as an effort to build an Esports scene. 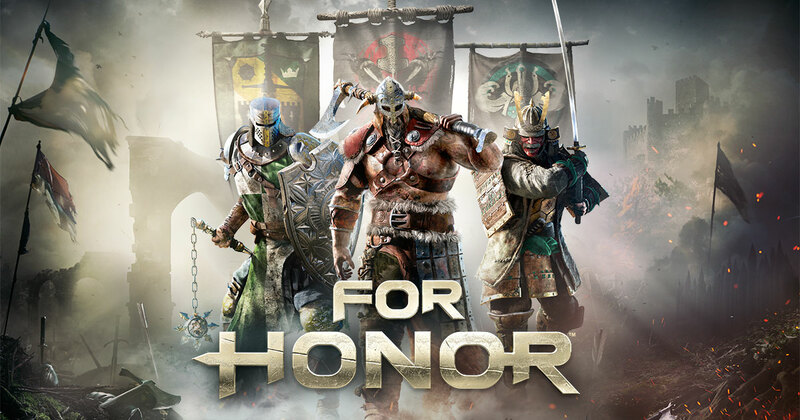 Despite its unique pitch (Knights vs Samurai vs Vikings Team Deathmatches), For Honor will benefit from lessons learned on “Rainbow 6 : Siege”. One of our favorite competitive game from 2016 will be officially out in 2017: Steam’s favorite “Battlerite” is a great, highly skilled Arena Brawler, the kind you can’t put down once you’ve tried it. We hope it will become the next Rocket League, an independent game with a huge and active community. Last but not least, Clash Royale may confirm its impressive 2016 start. Supercell’s latest mobile hit has proven it is worthy of the Esports moniker, with great tournaments and a very active scene. Everything points toward the real Mobile Esports awakening in 2017. Wanna bet? From traditional media to traditional sports clubs, Esport is finally getting the recognition it deserves. Last, but not least, governments are embracing the movement and build legal and economic frames to structures our booming industry. Following the steps of South Korea, several countries have pledged to support their local scenes, opening talks with national federations and associations. Quebec is one of the latest case: The Canadian province of Quebec now considers Esports as skill-based competitions. Until now, they were clasified as “publicity contests”. This victory for the FQSE (the local Esport federation) follows a similar one in France, were France eSports association helped the government separated Esport from luck-based games and is willing to authorize Esports matches on television – they are still considered adds for a video game. All these progresses in Quebec, France, but also Spain, Great Britain, Russia, Finland or Malta were made possible because of Esport fans, volunteers and professionals pushing the boundaries. We at Toornament are also involved in numerous Esports initiative and we hope you’ll join the movement make yourself and your local Esport community heard by your officials!